Perched atop a majestic lot with private drive spanning the renowned Riva Chase. 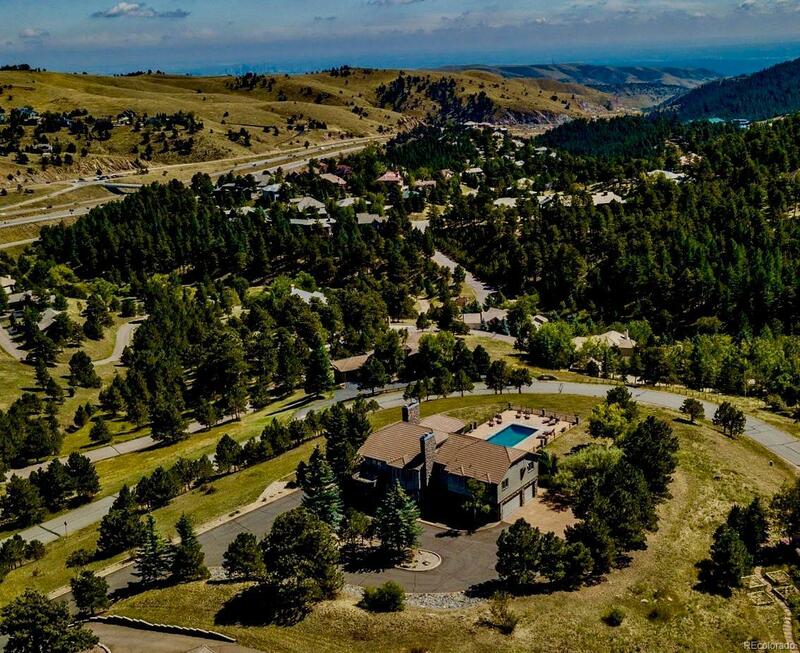 This magnificent custom home marries old world style with Colorado living! Boasting privacy in a gated community this home delights in breathtaking views of the mountains & city lights! Unmatched luxury features include a heated salt water pool, an elevator to all floors, exquisite architectural details including custom stained glass from England! The upstairs boasts a large master retreat with fireplace, sitting area and a private deck. There is also a private guest wing upstairs with a bedroom, ensuite bath, private family room and workout room. The lively lower level features a sports bar, newly enclosed patio for outdoor living and entertaining, dry sauna, hot tub room, steam shower, mother-in-law retreat with kitchenette, game room and billiard room! Over $300K in recent upgrades! At last a mountain home with elevator access to all levels. Recent appraisal available.